When you think about remodeling your home, you likely think about adding new features that you can see and use, such as cabinets and shelves and light fixtures. You may also consider adding new sinks and faucets so that your kitchen, bathroom, and laundry room are more comfortable and more functional. At Gladiator Repipe in San Jose, we can provide copper repiping so that your remodel turns out the way you want. Perhaps you’re focused on the plumbing in your home, and you want to update it before you begin adding new cabinets and more. If that’s the case, then give us a call today! When it comes to the supply lines for your kitchen, the main areas to focus on are the sink and the dishwasher. If you’ve noticed a dip in water pressure, or your dishes aren’t getting clean, then new copper plumbing could be the solution. With a kitchen remodel, you may be adding an island with a sink. Our team can take care of installing new copper piping for this feature, making it easy to rinse vegetables and other ingredients and leave the main sink free for dishes and pots and pans. 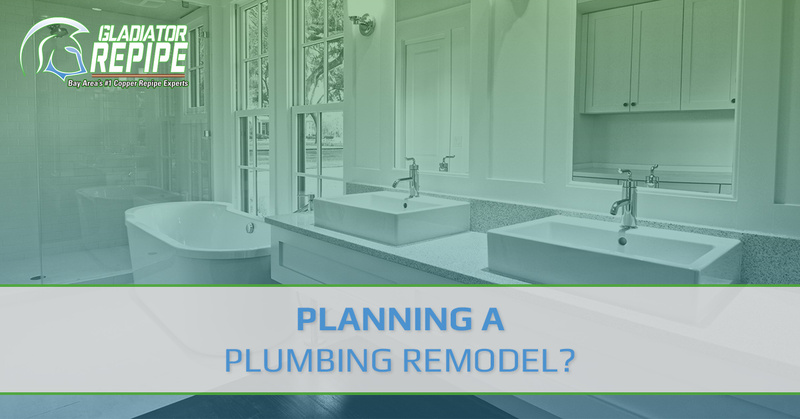 A bathroom remodel often involves the most in-depth plumbing upgrades. After all, this is where you bathe, shower, use the toilet, and get ready at the sink. If you have issues with water pressure or temperature, then adding new copper pipes can often alleviate those problems. Copper can last for several decades, and we can take care of installing and connecting each pipe. 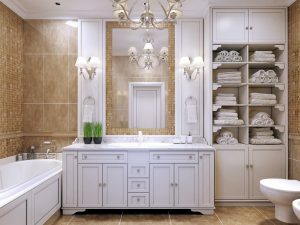 Before you add that new toilet, vanity, or tub, let us put new plumbing in place that will help make your bathroom the luxurious space you’ve always wanted it to be. The laundry room might be the last thing on your remodeling priority list, but it’s still an important space in your home. Perhaps you haven’t had washer and dryer hookups before, and you’re looking forward to finally having laundry appliances inside the house. Copper can be a great option for your washer supply line, and we’ll make sure everything is in the most convenient spot. Old galvanized pipes that have started to corrode or that have become blocked with mineral buildup can decrease your washing machine’s efficiency and make it have to work harder to clean your clothes. Replacing those old pipes with copper could be the greatest thing that ever happened to your laundry room! If you’re planning a plumbing remodel so that you can upgrade your kitchen, bathroom, or laundry room, then schedule service with Gladiator Repipe today. 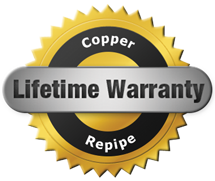 With our copper repiping, you can have plumbing that lasts for decades and that you love using every single day. Fill out the form below or give us a call today to get your quick estimate. We’ll work with you on setting a time for your initial appointment, and once everything is ready to go, we can have your repipe done in as little as one day.